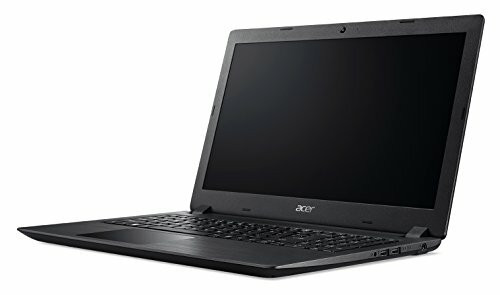 Acer A315-51-31GK Touchpad NX.GNPAA.001 Intel Core i3-7100U 2.40GHz, 15.6"
Intel Core i3 7th Gen 7100U (2.40 GHz) 4 GB Memory 1 TB HDD Intel HD Graphics 620 1366 x 768 Windows 10 Home 64-Bit. 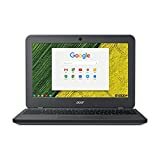 Color Obsidian Black Operating System Windows 10 Home 64-Bit CPU Intel Core i3-7100U 2.4 GHz Screen 15.6" Memory 4 GB DDR4 Storage 1 TB Graphics Card Intel HD Graphics 620. Video Memory Shared memory, CPU Type Intel Core i3 7th Gen CPU Speed 7100U (2.40 GHz) Core Name Kaby Lake Number of Cores Dual-core Processor CPU L3 Cache 3 MB, HDD 1 TB HDD RPM 5400 RPM HDD Interface SATA. Screen Size 15.6" Touchscreen No Wide Screen Support Yes Resolution 1366 x 768 LCD Features LED backlight. GPU/VPU Intel HD Graphics 620 Video Memory Shared system memory Graphic Type Integrated Card.